08 February 2019, at 2:25p.m. Obesity in horses is now considered by equine welfare charities to be the greatest threat to equine welfare in the UK. For some time, horse vets have rightly been concerned at the growing numbers of overweight and obese horses. BEVA has prioritised this issue and is developing measures to help its members tackle equine obesity. Whilst not a new problem, equine obesity is becoming more common and there is a growing appreciation and understanding of the potential health and welfare impacts of obesity in horses. British native breeds such as pony breeds, cobs and draught horses are more susceptible to becoming obese and developing obesity-related disease because they are more efficient at utilising feed and convert more of it into fat. Studies of obesity in horses have confirmed that owners have a poor ability to visually identify overweight animals and that perceptions of ideal weight for animals participating in showing classes were perceived to be significantly greater than for other equestrian disciplines. Vets in the field find it hard to persuade owners that their horses are overweight and unfortunately, it is common for vets to see obesity-related disorders such as laminitis in show horses. Obesity can lead to a number of health problems as well as poor athletic performance, abnormal skeletal development and behavioural problems. Laminitis is the most devastating consequence of obesity. This condition is now one of the most common conditions seen by vets treating leisure and pleasure horses and is a common reason for euthanasia. It is unknown exactly how many horses are euthanised each year as a result of laminitis secondary to obesity but it is likely to be many hundreds if not thousands. Many more horses suffer recurrent bouts of excruciating foot pain. Many colleagues comment that they are struggling to figure out how to get through to horse owners how serious obesity is. Even owners of horses with chronic laminitis often just seem to accept it and don’t seem to try to manage the feed intake/weight situation. The dramatic increase in rates of obesity is multifactorial. First and foremost would appear to be overfeeding by owners who consider horses members of their family and enjoy spoiling them. This is a problem that is common to dogs, cats and other pets. Rewarding obesity in the show ring, which distorts the perception of normal, is also involved. Negative peer pressure from other horse owners who discourage those who are trying to implement weight loss and keep their horses in an appropriate body condition plays a significant role. What can owners do to tackle weight loss? Most important would be to discuss with your clients whether their horses need to lose weight and how this might be achieved. To do this, you should assist your clients with simple ways they can assess and monitor the condition of their horse. Then it is a case of encouraging exercise of their horses as much as possible. Limiting access to grazing can be helpful along with reducing hay intake and soaking it to reduce calorie intake whilst maintaining fibre intake. It has been proven effective to get smaller hay nets, bowls and scoops and weigh feed to ensure intake is accurate. Likewise, encourage feeding little and often and using measures to slow feed intake such as multiple hay nets and small weave nets. Many vets are now joining an organised weight loss club with a review of progress with someone independent every one to two months. As vets, we should aim to remove the stigma attached to having a “fit” or lean horse, which can be hard to bear in many livery yards. There is a tendency for an owner with a horse of perfectly acceptable body condition score of 2 out of 5 to be criticised and accused of not feeding enough, or allowing the horse to suffer from ulcers, as why else would the horse be so “thin”? However, there is rarely any criticism made of an obese horse. Prevention is better than cure and avoiding weight gain is notoriously easier than trying to effect weight loss. Early diagnosis of obesity is critical and it makes sense that routine monitoring is the obvious way to go. BEVA wants to encourage the profession to say to horse owners, “It’s OK, we know this will be hard work, but we’re here to help and support you.” Let’s work together as a team in an open and honest way, because if we don’t, the only one who will pay the price for any combination of apathy, ignorance, denial, laziness or defeatism, is the horse or pony. Improving equine lives by reducing the incidence of obesity-related disease could be the most powerful and rewarding thing that our nation of horse-lovers has done for the species. How fantastic would it be if as equine vets we could be at the forefront of that? I acknowledge the help of David Rendle and Lucy Grieve with writing this piece. Jonathan Pycock is an equine claims consultant for the Veterinary Defence Society and an equine reproduction expert. He is the immediate past president of the British Equine Veterinary Association. At Royal Canin we believe nutrition is the foundation of health. 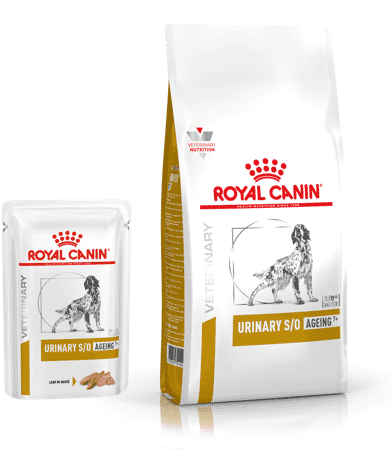 That's why we're advancing our veterinary range starting with our Urinary diets. We're introducing new nutritional solutions and improved diets to support feline and canine urinary health. Are we pushing animals too far? 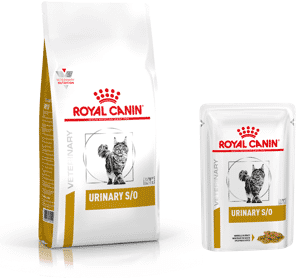 Royal Canin is excited to announce the launch of some exciting new nutritional solutions and improved diets within our Urinary range.